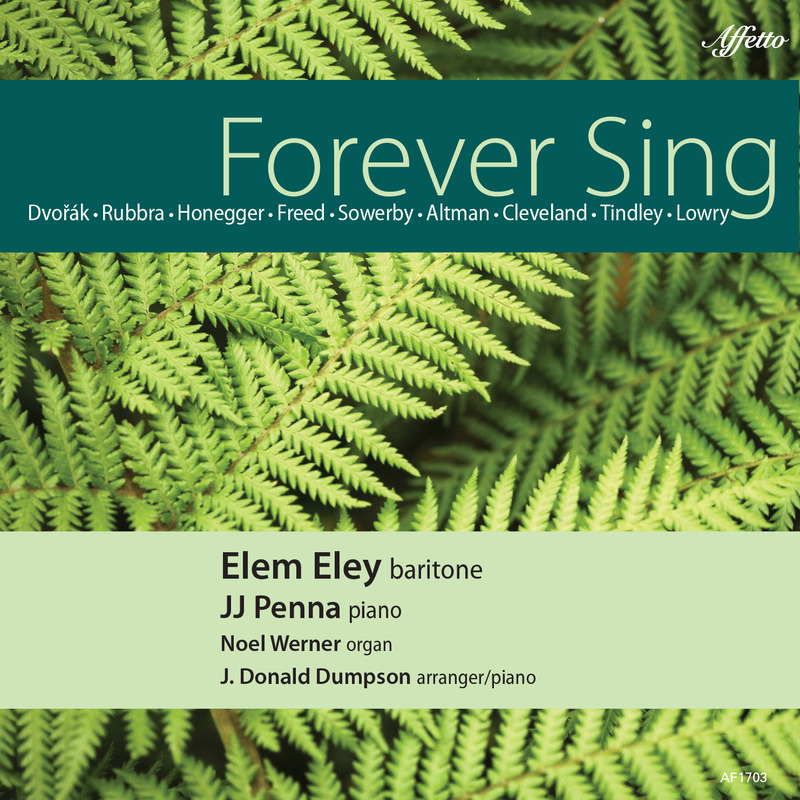 Internationally renowned baritone Elem Eley’s fourth solo album, Forever Sing, is ddeply personal, rooted in his southern upbringing and the heartfelt expression of singing from the Psalms. For this album, Elem Eley chose beloved songs evoking memories of his youth, some that he has since called on in decades of performing around the world, and as Professor of Voice at Westminster Choir College of Rider University in Princeton, New Jersey. Meeting this challenge demands a collaborators of diverse skills: His partner for the first three albums, pianist JJ Penna, plays the Classical settings of Dvorak, Rubbra, Honegger, and Altman. Concert organist Noel Werner accompanies Eley in the two sets by Isadore Freed and Leo Sowerby, recorded in the historic 1836 sanctuary of his home church, Nassau Presbyterian Church in Princeton, NJ. The final set of three Gospel songs is arranged and accompanied on piano by the nationally renowned Dr. J. Donald Dumpson of Philadelphia; their session was emotional and exciting to witness, as these two personal friends and outstanding artists created a unique sense and sound of the Gospel musical genre, unique to their partnership and recorded here for the ages. Pure genius in every track, Affetto Records takes pride in presenting this multi-faceted collaboration o fmusic incredibly performed with depth and personal resonance.